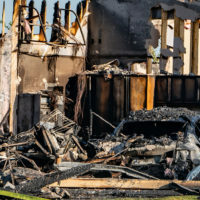 Hurricane Michael debris fuels 500-acre wildfire in Florida Panhandle | Insurance Litigation Group, P.A. We are so concerned about the wellbeing of local Panama City Beach locals, their property, air quality and impact on wildlife and the environment. As a Florida-based property insurance dispute resolution law firm we have seen it so many times, even months after the hurricane hits, local home and business owners are still being impacted by Hurricane Michael. Many Florida Panhandle Hurricane Michael victims experienced additional damage from below freezing temperatures, heavy rains and longer-term mold issues. While many have satisfactorily settled their Hurricane Michael insurance claims and made their repairs, many thousands have found that their initial insurance claim settlement was not adequate to rebuild. Some discovered additional damage that wasn’t apparent earlier. Insurance Litigation Group has a local Panhandle Hurricane Dispute Resolution office and a team of highly experienced claims consultants and insurance attorneys ready to inspect your property, review your insurance policy and to either reopen an older claim or help file a supplemental Hurricane Michael damage claim. Don’t accept anything less than a fair settlement that will help your family get back on their feet with a clean, safe home to live. A wildfire that officials say quickly spread through dead trees that still hadn’t been cleared after Hurricane Michael forced the evacuation of nearly two dozen homes in Florida’s Panhandle. PANAMA CITY — A wildfire that officials say quickly spread through dead trees that still hadn’t been cleared after Hurricane Michael forced the evacuation of nearly two dozen homes in Florida’s Panhandle. Fire officials say the fire broke out Saturday near Panama City, which was hit hard by Michael in October. By Sunday afternoon it had grown to some 500 acres (202 hectares). Amy Carter tells the News Herald “our house was destroyed in Hurricane Michael, and now this.” She and her husband had their car packed with some sentimental items Sunday in case they had to flee. Helicopters continuously dumped water from a nearby pond on the forest. 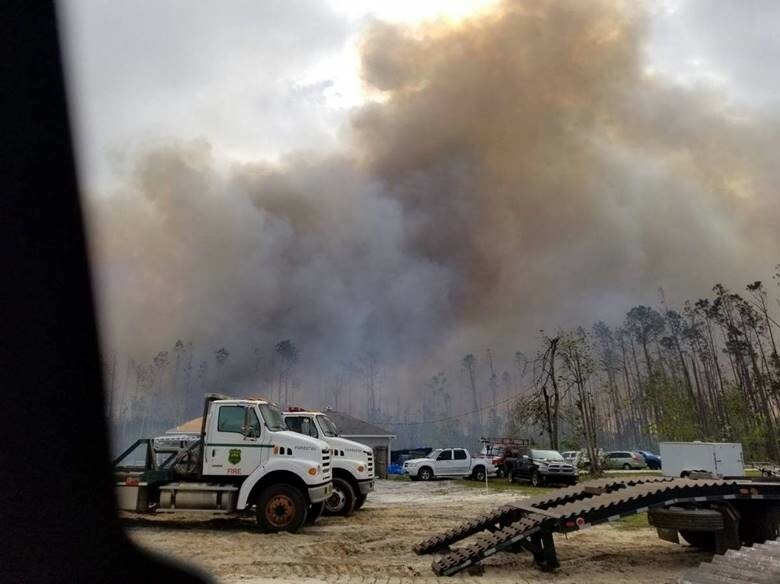 Florida Agriculture Commissioner Nikki Fried’s office says 23 firefighters, multiple bulldozers, fixed-wing aircraft, and helicopters were working to contain the blaze.